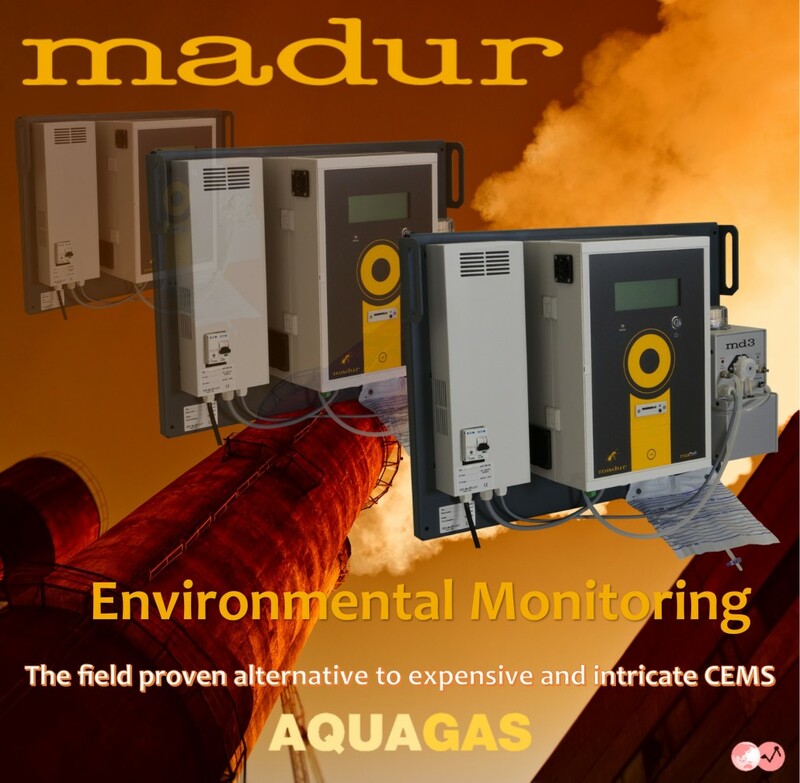 The Mamos is a high quality stationary monitoring system for the measurement of up to 6 gases as well as gas temperature, ambiant and differential pressures (Gas Flow) in a large field of applications. 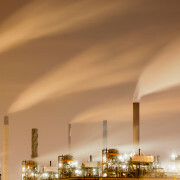 Designed to optimise performance/price ratio, small in size and yet very skilful analyser, the Mamos is the field proven alternative for large, intricate Continuous Emissions Monitoring Systems, as it does not fall behind them concerning functionality, abilities, reliability and is far ahead in terms of expenses. Fully automated and packed with exclusive features, the Mamos concept enlarges monitoring possibilities and respond to the today’s demands in terms of accuracy, reliability and flexibility. Each analyser is supplied with its own sampling system. The entire system is mounted on a wall mount plate and designed for installation in industrial settings and rough environment. 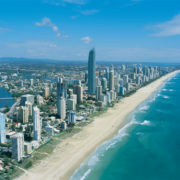 It has a modular construction, and offer a large panel of add-ons to match site specific application requirements. The Mamos minimises the installation and ongoing operation cost until now required to fulfil your monitoring needs. Depending of the gas matrix and components to be analysed, the Mamos can be fitted with up to 6 different sensors. The combination of technologies (NDIR, TCD, PID, Electrochemical) and the addition of separate gas channels into the same instrument empower flexibility in multigas applications. 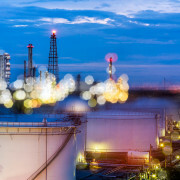 A unique feature is to allocate a gas channel to sensible sensors. 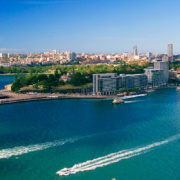 Its design ensures the cells have a limited exposure to gases and therefore extends considerably their respective life-time. 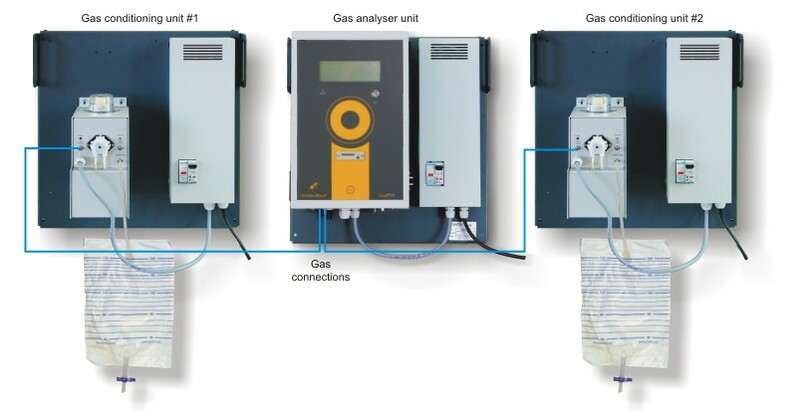 Process gas and emissions monitoring in combustion plants, boilers, syngas, biogas, waste recycling facilities and associated filtration systems are typical applications for multiple gas channels configuration. 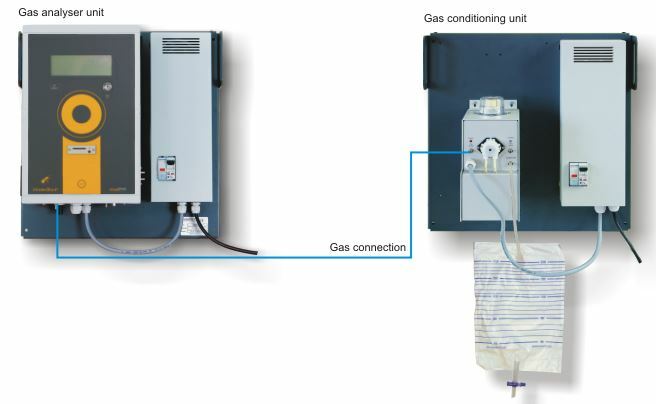 In Biogas, the primary gas channel holds the CO2, CH4, O2 sensors while an additional separate gas channel is allocated to sensible Electrochemical sensors, H2S for example. The two NDIR gas channels can then be used for CO and VOCs. The Mamos offers multiple sensor and method configurations. Here are the measuring parameter for the most common gases. 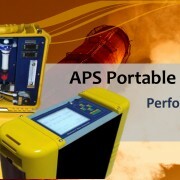 For other gases or different measuring ranges (MR), please consult us. 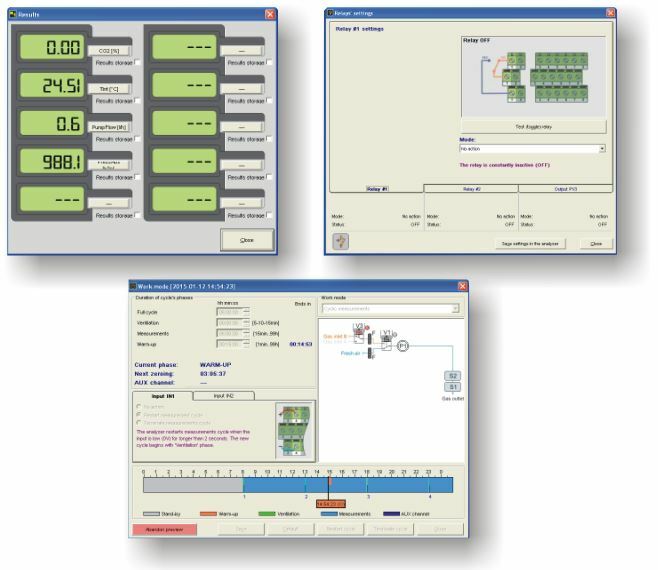 For large sites with complex monitoring requirements, the LAN and ModBus interfaces allow implementing in an efficient way large instruments networks with master/slave configurations and user settable monitoring functions. This compact system is delivered ready for installation. Thanks to its small size, the system is easy to locate, install and set-up. The routing of the cables and tubes to the instrument is simplified with all gas and electrical connections grouped onto a single plate. Data-logger with SD card for results collection. 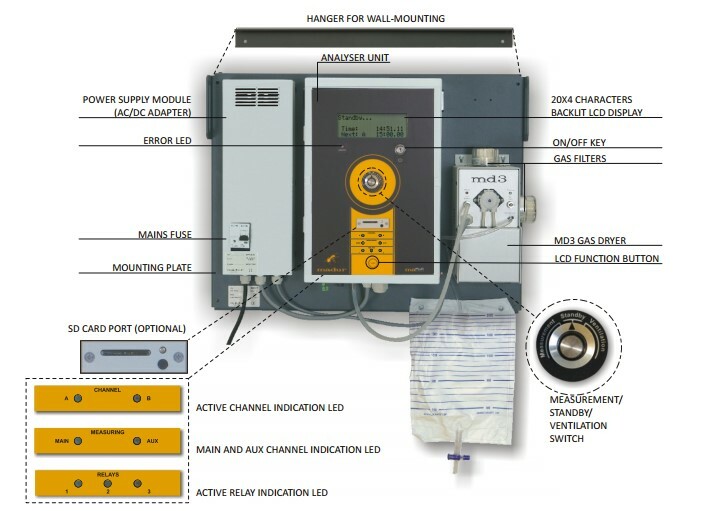 The sampling system configuration can be adapted to specific monitoring needs such as multipoint monitoring, redundancy, continuous or time set measuring cycles… When sampling from wet and hot gas, moisture content, condensates and salts are continuously removed by the use of one or several gas dryer(s) (Peltier or Nafion) equipped with built-in safety filter, condensate trap and safety inline particulate filters. 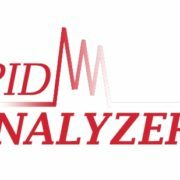 Wether it uses the built-in sampling pump or the pressure from the source, the analyser is designed to work with overpressure. Single gas channel configuration can handle overpressure up 1.8 bar. 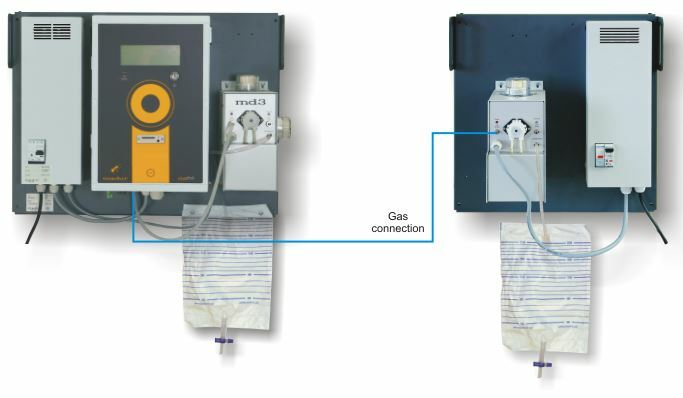 Compact – Short-extractive CEMS – Analyser with gas dryer on a common mounting plate, all installed near the measurement place. 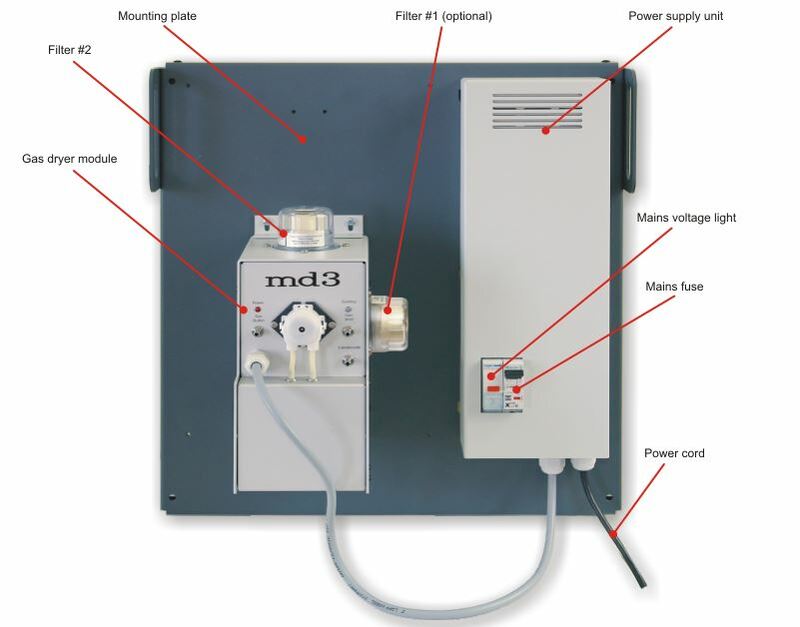 Split /1 dryer – Cold Dry Extractive CEMS – Analyser and gas dryer are installed on separate mounting plates, each equipped with its own power supply module. 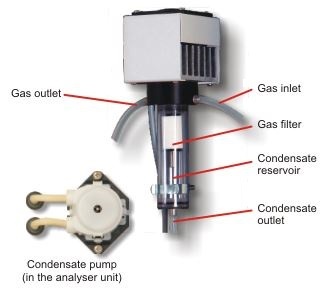 The gas dryer is installed near the sampling point therefore the analyser can be located away from the source. 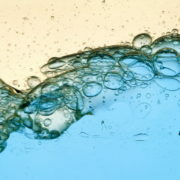 Once free from water vapour, the sample can be conveyed on long distances without the need for heated lines. 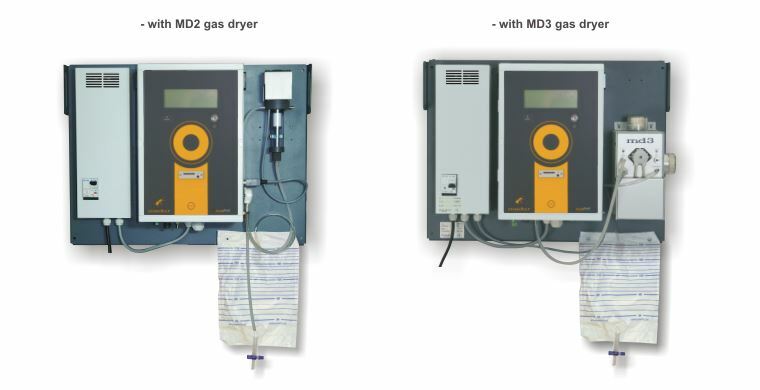 Split/2 dryers – Cold Dry Extractive CEMS – Compact configuration with an additional gas dryer installed on separate mounting plates, each equipped with its own power supply module. Two dryers in serial for high drying performances suitable for Traces monitoring in wet sample. 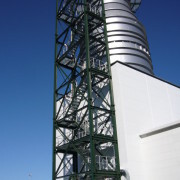 Twin Split – Cold Dry Multipoint CEMS – This version is based on the Twin Split/1 dryer configuration, but uses two MD3 dryer with their own power supply added on separate mounting plates enabling measurements from two different locations (each dryer is installed near the sampling point). User programmable sampling sequences. Call us with your application details handy to organise a CEMS demo at your facilities !